We know what makes an unforgettable ski holiday – for the right reasons – so we go about delivering all the elements to make your holiday perfect. Above all, we take pride in our customer service, with a ‘nothing is too much trouble’ attitude, every step of the way. This is backed up by feedback from past guests. In fact the number of guests returning to stay with us again each year is feedback enough! Our team are very carefully hand-picked to be friendly, helpful and smiling at all times. Many of them are very experienced too, as they return to work with us season after season. Nothing is too much trouble for them, meaning that you can relax and enjoy your skiing without worrying about anything else. In addition to our own base – Aravis Lodge – the ski chalets and hotels in all of our resorts are chosen by us to be a real ‘home-from-home’ for you. After a hard day’s skiing you can relax, put your feet up and enjoy the company of your friends or family in a cosy, comfortable and welcoming environment. Service is paramount for us. We really believe that from your first enquiry, to the minute you finish your holiday, you should be able to relax knowing that we have thought of everything – from your ski pass to your ski hire. No hassle is our motto – with us all you have to do is turn up and ski, with the intention of having a great time! Price is a key element for most people when choosing a ski holiday. We include nearly everything in our packages, both for your convenience and also to make the best value ski holiday for you. It’s very easy for costs to mount up having already paid your balance, so to counteract this we ensure that the price you see is the price you pay – there are no hidden extras with us. We are very selective about the ski resorts we work in. We live and ski here too, so we are only interested in skiing the best places. For us that means picturesque, traditional and lively towns; conveniently located close to Geneva Airport; extensive ski areas with quieter slopes, less queues and less Brits. Find out more in our guides to each of the ski resorts. 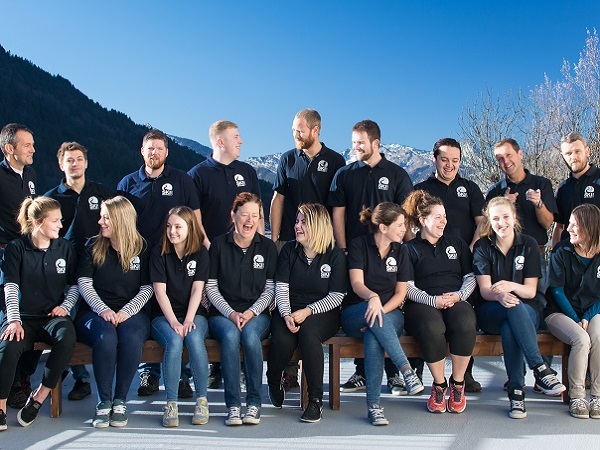 So you see, we genuinely care about your ski holiday experience, and ensuring it is one you will remember, for all of the right reasons!